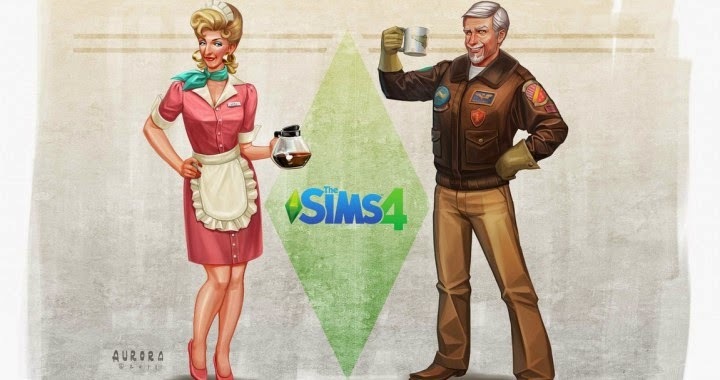 Expansion Packs are integral part of The Sims series game and we all know this.News has leaked that there has been an official The Sims 4 Expansion Pack Survey by invite only – and there are a whole range of new ideas that The Sims team want to hear your feedback on! Your Sims will have the chance to experience a variety of fully interactive careers that provide exciting gameplay and opportunities for you to tell all new stories. Directly control your Sims’ every action while they’re on the job and watch as they create new inventions as a Scientist, help cure other Sims as a Doctor, or solve crimes as a Detective amongst other career options. Doctor Career: As a Doctor you’ll be able to examine and treat patients, perform surgery, and deliver babies – all within the new Hospital. Scientist Career: Create new inventions in the Science Lab, conduct experiements on yourself and others, and perhaps even uncover aliens, alien worlds, and alien technology in the dessert as a Scientist. Detective Career: You’ll be able to investigate unique crime scenes, book and interrogate Sims at the Police Station, and patrol the streets solving crimes as the newest detective on the block. Office Career: As a sales expert you’ll be working the phones, gossiping in the lunch room, playing office pranks on your boss, and closing big deals. Maid Career: As a maid for hire you’ll be helping Sims keep their homes clean, but you’ll also be learning their deepest secrets in the process. Personal Stylist Career: Become a personal shopper and outfit your clients with the latest fashions in clothing, makeup, and accessories. Architect Career: Using Build Mode, you’ll get to design and build houses and venues for all of your neighbors and fellow citizens of your town – for a fee of course. Interior Decorator: With an eye for interior design, you’ll get to design Styled Rooms for all of your clients. New Neighborhoods: Travel to and explore new career based neighborhoods that have offices, hospitals, etc., as well as new collectibles that will help you get the job done right. Experience the life of an entrepreneur in The Sims 4. Build a variety of different business types and manage both employees and customers alike. Create unique products, imbue them with special sentimental valies, and run your business as you see fit. Create & Manage A Business: Design a store to attract the right customers, fill it with the right items to drive sales, manage the business by hiring and firing employees, and advertise to gain more customers. Create A clothing Boutique: Assemble custom fashions to sell in your own clothing boutique. Art Gallery: Fill your art gallery with unique paintings and photographs while managing it at the same time. Bakeries & Cafes: Create tasty treats and sell them to other Sims in your own Bakery or Cafe. Share Your Stores: Share your businesses with the world using the Gallery. Can other players run your business better than you? Photography Career: Capture timeless memories with your camera and sell your images to the highest bidder to earn some Simoleons. It’s time for your Sims to experience city living. Meet brand new neighbors and friends as your Sims live in a loft or apartment in one of the many high rise buildings. Your Sims will be able to check out the latest bands and DJs and dance the night away in the new rooftop night clubs. If you feel inspired, you’ll even have the opportunity to start your band and try to make it big! 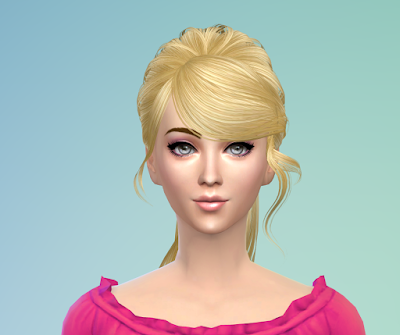 Experience the rise to fame with your Sims! Have your Sim become the latest A-List actress, star pop singer, or hot shot film director. You’ll also be able to share films you create on the Gallery for other fans to enjoy. If living the life of a star isn’t your thing, you can become a freelance photographer and make a fortune taking pictures as a paparazzi. Become a Celebrity: Climb the celebrity ladder to fame and fortune. Manage your image and online persona, sign autographs, enjoy the adoration of fans, or hide from the paparazzi. Acting Career: Your Sims will be able to perfom in their own movies – including action adventure, comedies, musicals, and silent films. Singing Career: Train those vocal chords to perfection. Or don’t! Being a pop singer isn’t just about being able to sing – you have to have the popularity to back it up. Film Directing Career: Produce that latest indie art film, or go all out for this season’s blockbuster. When it’s complete, share it on the Gallery, and have your real life firends vote you to fame! Photography: Take award winning photos to help celebrities improve their image or utilize your camera to catch celebrity Sims in awkward situations as a paparazzi. Hollywood Parties: Throw exclusize parties and control the exclusive guest list to ensure only the A list can attend. Explore the Studio Backlot: Explore the Studio Backlot to discover different stages and props to utilize in your different films. Help your Sims live a healthier and happier life! Participate in all new wellness activities including emotionally soothing massages, mud baths, acupuncture, steam room saunas, and personal training. You’ll also have the opportunity to open and manage a wellness center to spread health and happiness, while earning some extra Simoleons in the process. Explore the mysterious world of the Supernatural where you’ll be able to create vampires, elementals, or even supernatural friends to help you around the house. You’ll also be able to discover mysterious run stones that allow you to control the elements. However, be careful how your Sims live, or the dead may return as mischievous spirits to torment your Sims and their emotions. Vampires: Play as a vampire where you can stalk, charm, or persuade other Sims to do as you wish. Spirits: Spirits will haunt and take over unsuspecting Sims and objects, creating surprising stories for all. Elementals: Play as a Sim that has the power over one of the four natural elements: Fire, Water, Earth, or Wind. Assemble A Monster: Discover how to assemble your very own monster and bring it to life. Rune Collections: Collect runes, learn their secrets, and use them to control the elements. Added Customization: Customize your Sims’ appearances in new ways by adjusting their fingernails and fangs, editing their tattoos, and customizing visual effects that your Sims get to bask in. Create a vibrant and evolving new town for your Sims to explore! Build out your town with new venues including pop-up restaurants, coffee shops, farmers’ markets, amongst others. Change the rules of your town by becoming Mayor and making your own laws or use new neighborhood editing tools to fully customize your town as you see fit! Brand New Venues: Visit a variety of new places around town including restaurants, coffee shops, and laundromats. Community Events: Participate in new events happening all over town! Buy fresh groceries from the famers’ market or have a fancy dinner at an exclusive pop-up restaurant. Be the Mayor: Get into a career as a local politician! Start off as a community organizer, setting up protests at the new City Hall venue. Get enough support and become the Mayor, making new laws that affect the whole world! Customize the Town: Decorate your entire town with the new neighborhood editing tools. Control which Sims visit the town and even which ones move in with a variety of new options. ---Originally this list posted by Kylo at SimsGlobe "
Hey Guys & Gals,what would be your favourite Sims 4 expansions from above category?